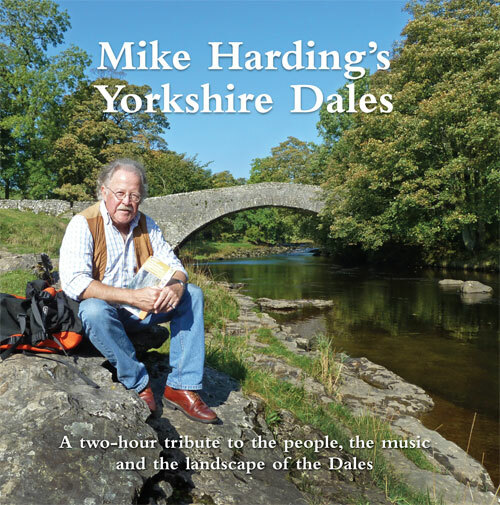 Mike Harding first visited the Yorkshire Dales as a lad of 14 on a cycling holiday. It was a far cry from the red-brick terraced streets of his home in Manchester as he pedalled into real countryside where the hay meadows were clotted with the flowers of high summer and fat cows looked over stone walls with the eyes of Sunday School teachers. It was the start of an enduring love affair with the Dales, prompting first a move to Ribblesdale, later to an 18th Century farmhouse in Dentdale and now to a village near Settle. He’s even been known to admit on occasions that he wishes he’d been born a Yorkshireman – the ultimate admission for a Lancashire lad! This evocative tribute to the people, the music and the landscape of the Yorkshire Dales was first published in 1998 by Triddling Records and Dalesman Publications as a double cassette. It’s now been re-issued by Beautiful North as a double CD in response to many requests. From Swaledale Choir to tales of the Pen y Ghent gamekeeper, from Hawes Brass Band to story of the Settle Carlisle railway, Mike takes us on a personal journey in sound through the landscape he loves.